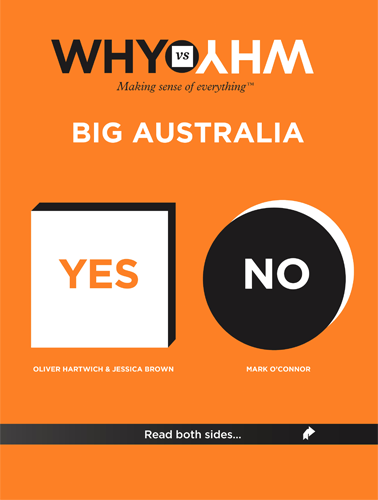 Oliver Hartwich - Author of Why vs Why: Big Australia (co-written by Jessica Brown and Mark O'Connor). Oliver Marc Hartwich is the Executive Director of The New Zealand Initiative in Wellington. Before that he was a Research Fellow at the Centre for Independent Studies from October 2008 to April 2012. His area of expertise is local government and federalism, urban economics, European affairs and Industry policy. He was previously, the Chief Economist at the British think tank, Policy Exchange, London. His publications with Policy Exchange mainly dealt with housing and planning, urban regeneration and transport policy. Before that he worked as an adviser to Lord Oakeshott of Seagrove Bay in the UK House of Lords. He studied Business Administration and Economics at Bochum University (Germany). 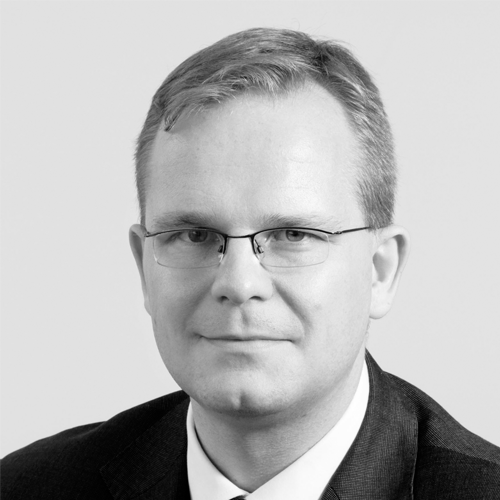 After graduating with a Master’s Degree, he completed a PhD in Law at the universities of Bochum and Sydney (Australia) while working as a Researcher at the Institute of Commercial Law of Bonn University (Germany). Jessica Brown and Oliver Marc Hartwich are authors of Populate and Perish: Modelling Australia’s Demographic Future, and Why A Growing Australia is Nothing to Fear, both published by the CIS. Oliver Marc Hartwich is author of Australia’s Angry Mayors: How Population Growth Frustrates Local Councils (with Adam Creighton) and Selection, Migration and Integration: Why Multiculturalism Works in Australia (And Fails in Europe).